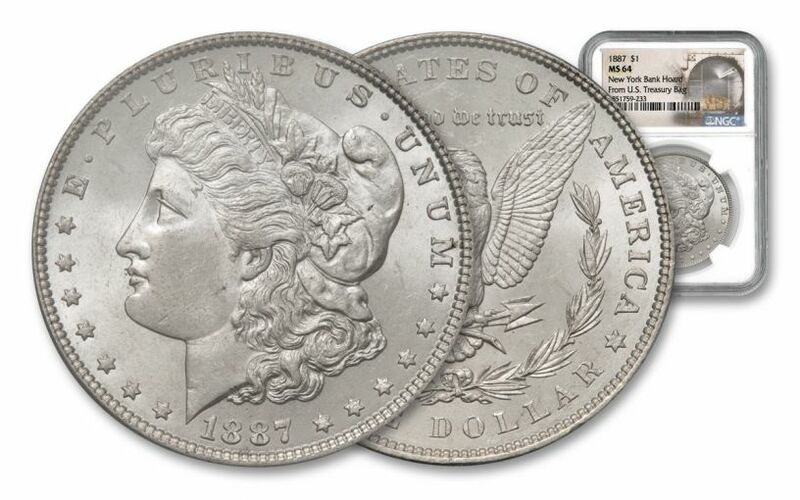 Now you can own a piece of this incredible New York Bank Hoard – the last of the Treasury Hoard bags of Morgan Silver Dollars – with this incredible key-date 1887-dated Morgan Silver Dollar struck at the “Mother Mint” – the Philadelphia Mint. 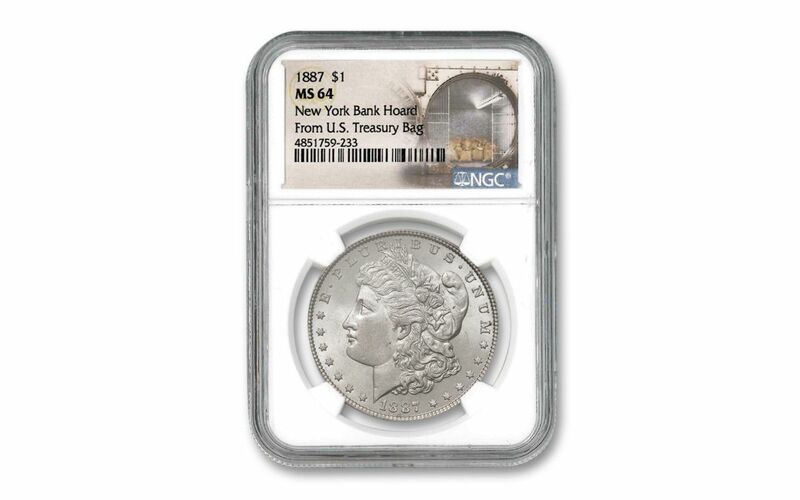 Not only has this coin been graded by the Numismatic Guaranty Corporation (NGC) as being in stunning Mint State-64 (MS64) condition, but NGC has also sealed it a protective coin capsule and added a special pedigreed label certifying that it hails from the famous New York Bank Hoard of U.S. Treasury Hoard Morgan Silver Dollars. 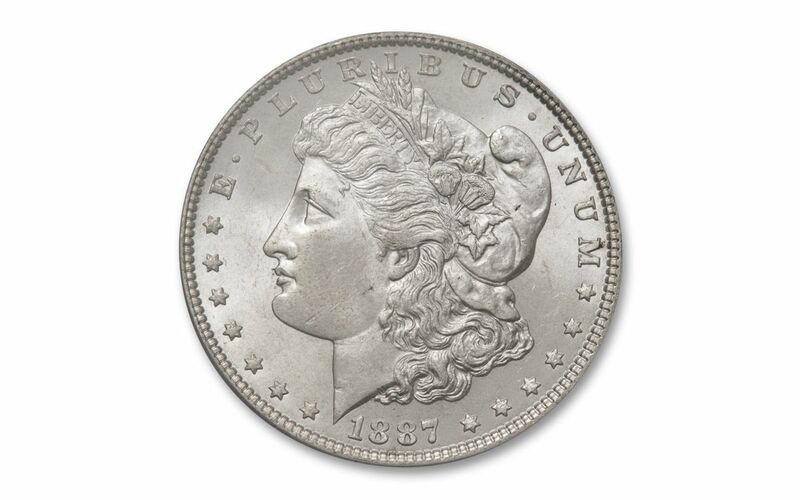 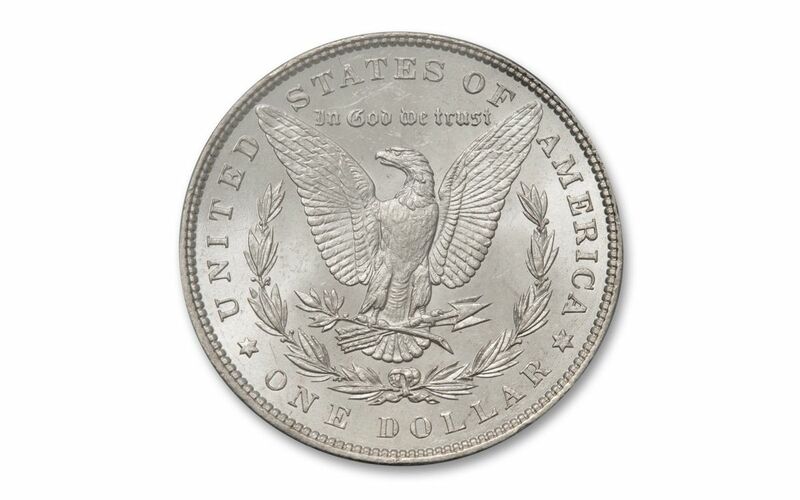 COMES IN HIGH-GRADE UNCIRCULATED CONDITION – This 1887-P $1 Morgan has been graded by the Numismatic Guaranty Corporation (NGC) as being in Mint State-64 (MS64) condition, meaning that it is a high-grade coin that is as crisp and fresh as the day it left the Philadelphia Mint more than 130 years ago!